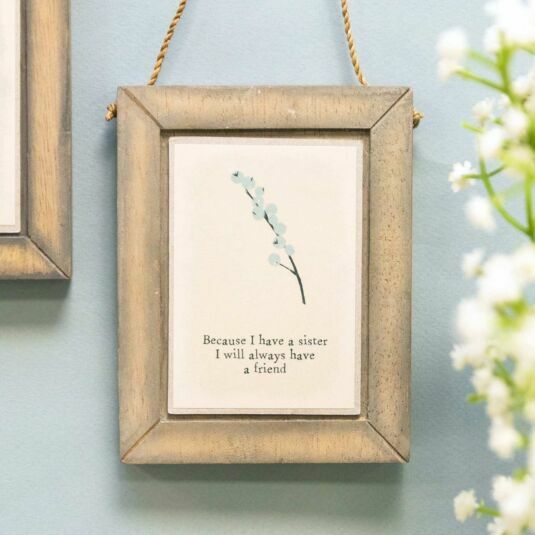 The artistic picture features an illustration of a blue berry sprig set on a light taupe background. Underneath reads the quote; ‘Because I have a sister I will always have a friend’. 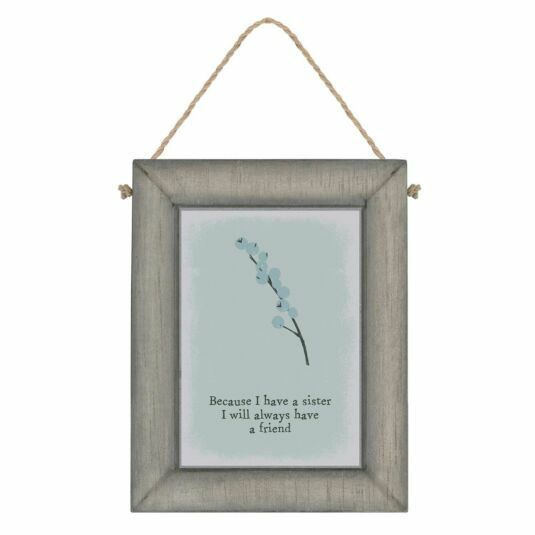 Perfect for any home, this wall plaque by East of India would make a decorative addition to any home and a wonderful birthday gift for your wonderful sister.